Well, to continue our recent expos'e on The Best Houses of All Time in L.A., here is number seven on the list. At one point this home by Architect, John Lautner had fallen into disrepair as a rental property. It was then purchased by German book publisher, Benedikt Taschen of Taschen Books. The Chemosphere house was renovated by Silver Lake firm Escher Gune Wardena, who are said to have updated the windows and floors, but otherwise tried to retain the original feel of the house. This house has also had a Hollywood career as a film location appearing in the TV series The Outer Limits and the movie Body Double. Facsimiles of the house have appeared in the Simpsons, Cars and the movie version of Charlie's Angels to name a few. 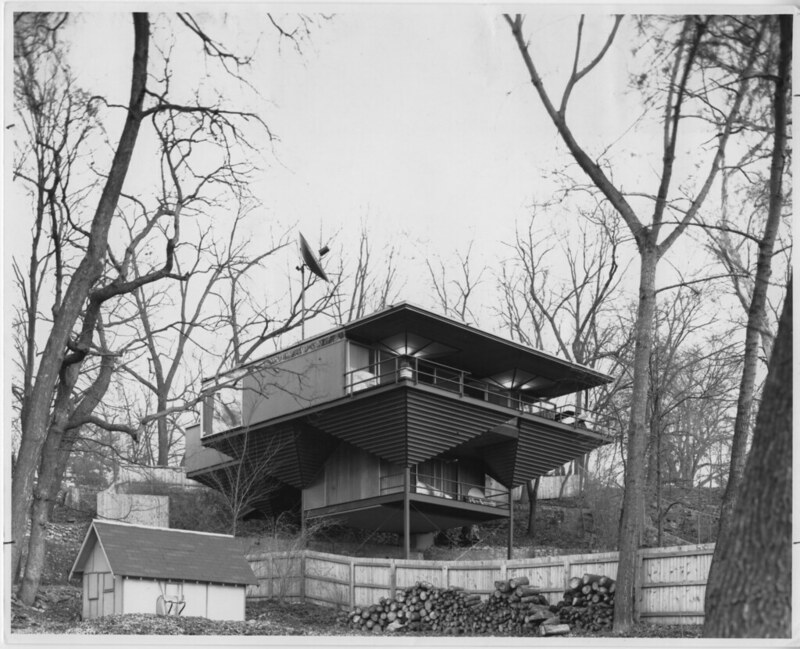 See the Yanda House for the Kansas City relationship to the Chemosphere.